If you joined me on ‘A Twilight Stroll’ you will have seen some of the blossom that is out at the moment in my neighbourhood. 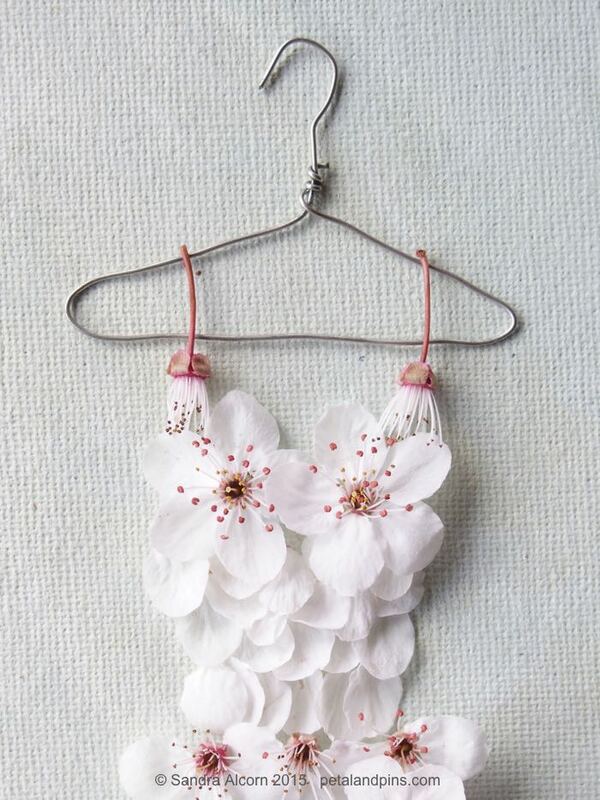 The other day I created a blossom dress for my Garden Fairy’s Wardrobe from the first of our plum trees to flower. I don’t harvest a lot of the fruit from this tree as it is a small variety of plum and the birds are quick to feast on them. In the past I’ve made a sweet chilli plum sauce, a rather laborious process I must confess, but a delicious result. Perhaps it’s the year to make the effort to do so again. 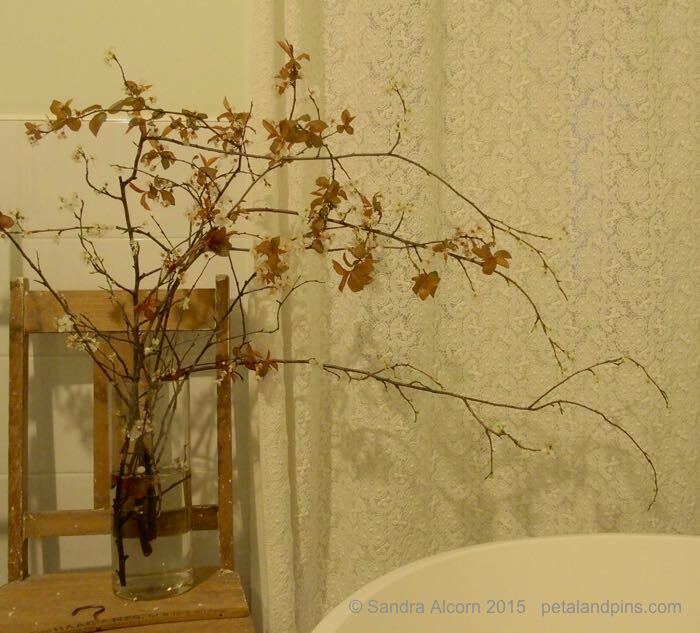 I do however always pick some branches of the blossom to bring inside. They don’t last long but are such a pretty thing to have in a vase – and a lovely reminder to savour life’s fleeting moments. My great aunt passed on her secret of spraying blossom with hairspray to make it last a little longer. Practical tip or old wives tale who knows, but I like to believe it does work not least for the fond memories it conjures up of her! With guests for dinner on Saturday night, naturally at least one of the many vases I filled featured blossom. 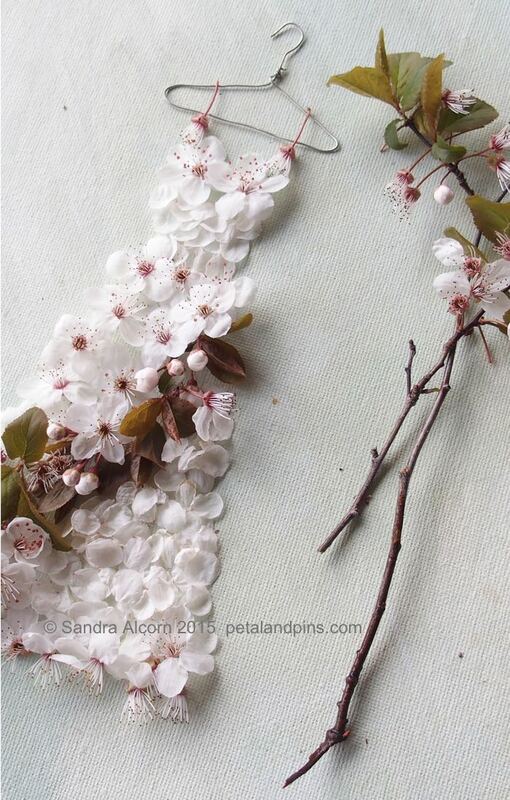 Our other plum is now flowering so I combined branches of the two. The one I created my garden fairy’s dress with has lovely deep reddish brown leaves and the softest of pink blossom and the other has light green leaves and a pure white blossom. I put this arrangement in the bathroom (with a squirt of hairspray!) and I’m sharing it as my ‘In A Vase On Monday’ – started by Cathy from Rambling in the Garden she invites you to share what you gather from your garden each week. By the time I photographed it this afternoon the warmth of being inside had unfurled most of the leaves…meanwhile outside one tree is a fairy floss like froth of blossom and the other just a sprinkling of blooms. Is it any wonder they have inspired a Garden Fairy’s dress! Your plum is lovely in all its forms. So lovely to see blossom when our English gardens are rather faded & as ever I just love your fairy dress creations!! 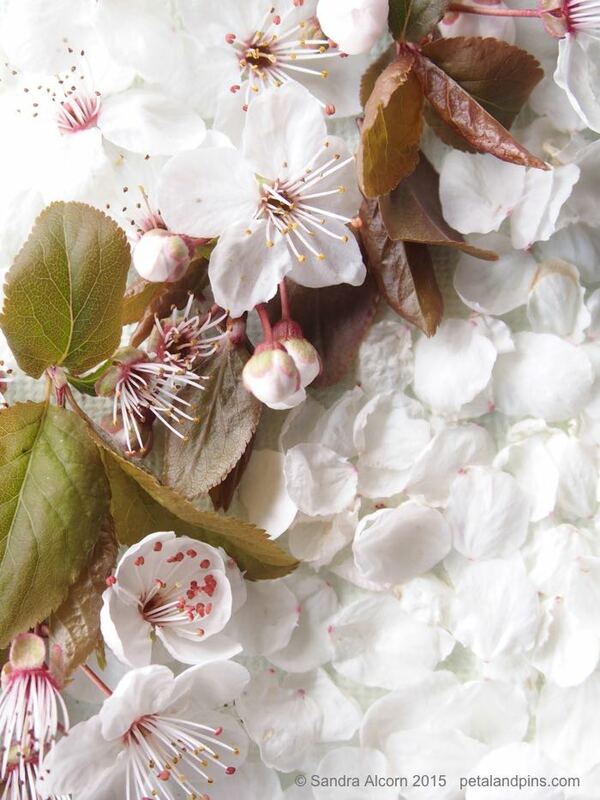 the plum blossom is lovely – we have glorious blossoms on the trees in Manchester UK in the Spring – long gone now and my two dwarf apples had be blossom blown away so no apples this year… ah well. The lead up to Spring is a lovely time of the year isn’t it – always something new appearing that makes the last month of a cold winter easier to get through. I just love your flower arrangement this week such gorgeous colours! It is so nice looking into seasonally opposite gardens through WordPress, I feel like it doubles the enjoyment of each season!